refer a friend - Earn $100! Do you have a friend that you feel could benefit from our services? Tell them about Golf Stix Value Guide and earn a $100 Gift Card. We would love the opportunity to work with them. Simply fill out the Refer a Friend details and we will contact them to see if we can help them in any way. We will be respectful and only contact them further if they are interested in using any of our services. Thank you for your help in growing our services. 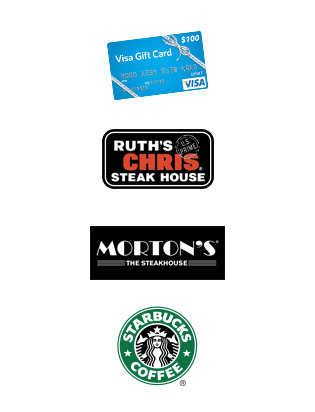 Choose one of the four gift card options below and add it to the "Notes" field. Your gift card will be mailed within five (5) business days.